Who is to blame for the housing crisis? Generation Rent hasn't a hope of owning their own homes; 170,000 people in London are homeless while, in the West End, 40% of homes stand mainly empty. Who is responsible for this toxic mess? Aspen Gardens estate in Hammersmith. habeebee/Flickr. Some rights reserved.In 1980 the Thatcher government famously gave council tenants the right to buy their homes. This was supposed to usher in the brave new world of a ‘property owning democracy’. Less than forty years later, though, what we have is a whole generation of people from all walks of life who haven’t a prayer of being able to own their own home. ‘Generation Rent’, that’s what they’ve been called. Today we have a whole generation of people without a prayer of being able to own their own home. And for far too many of them, what they are renting in an unregulated private market is exorbitantly expensive accommodation. Worse, they can be kicked out of it any time the landlord feels so inclined. What a disastrous state of affairs. Where did it all go so horribly wrong? The reasons, we are told, are fiendishly complicated. But this is not true. They are in fact incredibly simple. Without doubt the rot set in with that ‘right to buy’ legislation in 1980 and all that went with it. It was amazingly – recklessly – generous, involving such high discounts that properties were pretty much gifted to the tenants in many cases. Hand in hand with this, the government brought in rules that prevented councils from building any more accommodation. Housing associations were allowed to build rented properties but did not receive much in the way of grant aid from the government to enable them to do this. Now, all of this would have made perfect sense if there’d been a big surplus of rented properties in the public sector at the time. But the reverse was true: there was a huge shortage. What the government did back in 1980 was therefore both nonsensical and profoundly irresponsible. It was a throw of the dice that hopefully ‘the market would provide’. But it never did. The trouble is that successive governments of whatever political stripe have persisted with the same socially irresponsible nonsense ever since. No votes in doing anything about it, you see. London house prices, for instance, rose a colossal 57% from 2011 to 2016 while average wages fell. The huge shortage of rented properties in the public sector has not gone away of course. Indeed all too predictably it has got ever more acute over the years. And people need places to live even if they can’t afford to buy, which has increasingly been the case. (London house prices, for instance, rose a colossal 57% to 2011 and 2016 while average wages fell). Out of desperation increasing numbers of people have had no choice but to fall back on paying extremely high rents in the private sector without even having the comfort or security of tenure. What a miserable way to have to live. Again, entirely predictably, one of the results of all this has been a massive increase in the cost to the public purse of housing benefit – it has gone up by no less than £7 billion in the last ten years. What central government has done to try to bring these costs down has been to adopt measures that are extremely unfair – no, scratch that, cruel. Take the notorious ‘bedroom tax’ where tenants with a spare bedroom – not exactly a huge luxury – get their housing benefit docked by a significant amount. The argument, which is a blatantly cynical one, is that those people can simply move somewhere smaller. But there isn’t anywhere smaller for them to move to because of the chronic shortage of affordable rented accommodation of any size. If the government really wants to move people rather than pretend to want to, they certainly know how to do it. Take the heartless legislation introduced in 2012 that forces homeless families to accept housing offered to them wherever it happens to be. Aligned with this came rules that limit how much housing benefit can be paid to a claimant depending on how expensive the area they come from is. Looking specifically at London, in just three years since those pitiless rules were introduced the following happened: 50,000 families were forced to move out of the borough they’d lived in – frequently to peripheral locations, threadbare seaside towns and the like – adversely affecting the wellbeing and education of hundreds of thousands of children. This is a disgusting way to treat people. Legislation introduced in 2012 forces homeless families to accept housing offered to them wherever it happens to be. But it can’t be all doom and gloom, I hear you say. 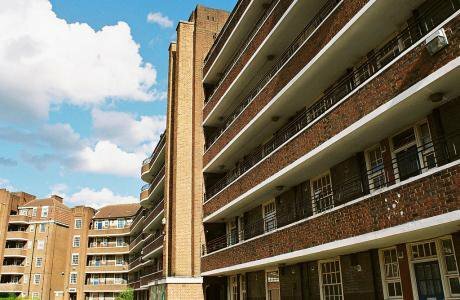 Between 2005 and 2015 there were no less than 50 estate regeneration schemes in London affecting 30,000 council and housing association homes. That’s got to be good, right? Wrong. Those schemes were all about creating as many expensive luxury apartments for sale as possible and actually resulted in a loss of 8,000 affordable rented homes – despite the fact that these are in such desperately short supply. And so this grossly irresponsible nonsense goes on. Sticking with London for a little longer, consider some further statistics that boggle the mind. Contrast the fact that there are currently around 170,000 homeless people in the capital with the fact that 25% of properties in Knightsbridge and Belgravia and an even more staggering 40% in the West End stand empty for most of the time. These are dwellings that have been bought as investments – more often than not by wealthy oversees residents – rather than as homes to live in. So who is responsible for this toxic shambles? Are our severely cash-strapped councils and housing associations somehow to blame? No, they aren’t. What about the greedy property developers? The profits of our five leading house builders increased by a colossal 480% between 2010 and 2015, would you believe. They are not to blame either though. These bodies are not even remotely altruistic, dedicated as they are to making as much of a profit for their shareholder as they can. We all know that. No, make no mistake about it, the blame for this unsavoury state of affairs lays squarely with central government – whatever the party in power happens to have been at the time. But will they actually do anything of any real substance to undo all the damage they’ve done over nearly four decades? Well, frankly, now they are going to have to – for the entirely cynical reason that at long last there are votes in it. In fact there are masses of votes in it, the votes of a whole generation of people from all walks of life who are deeply dissatisfied with a situation they find themselves in through no fault of their own whatsoever: ‘Generation Rent’.